Fjuul brings digital health to everyday people and everyday life. We provide tools to uncover links between lifestyle and wellbeing. Rather than just counting daily steps and moves, we help you understand the meaning beyond the numbers by highlighting your healthy habits and finding ways to balance and improve your life. Discover the health impact of your daily activities. Like with the food we eat – the quality of ingredients is more important than the pure amount – we bring that quality thinking to movement. Fjuul tracks your day and tells you which physical activities have most impact on your health and fitness. Based on the intensity and duration of your movement, Fjuul points measure that impact and are aligned to MET reference values. This allows you to consistently compare your days and progress, pursue goals that suit your fitness level or ambition, and compare with others. 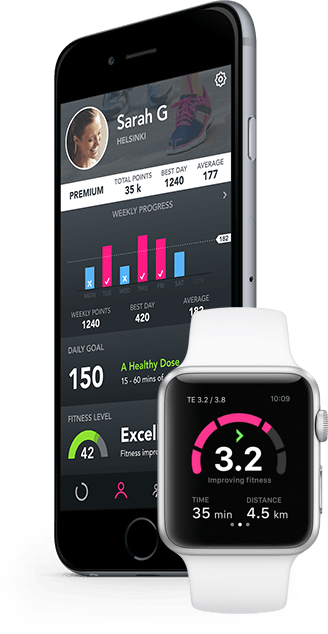 Fjuul Premium turns your apple watch into a full-fledged sports watch with real time workout guidance and dynamic coaching that adapts to your personal fitness level (VO2max). Get understandable and actionable insights regarding your training and recovery. Learn how to improve your performance and reach your optimal fitness level. No matter if your are just beginning or an athlete already, due to the adaption to your personal fitness level, this is the perfect tool to improve and maintain your fitness level or push even further. Fitness level enables you to see training efficiency in consistent terms to track whether your training gives you proper results or not. Fjuul makes it easy to see changes in your fitness level. These changes are used to adapt the training program and optimize training loads for faster progress. Recovery advisor keeps track of your physiological state so you know when to take it easy and when you are ready for the next intensive run. After the workout, it shows the time your body needs to recover before the next effort, so you can optimize the balance between rest and training..
Fjuul points can be considered your ‘currency of healthy activities’, so why not trade that in for something real? 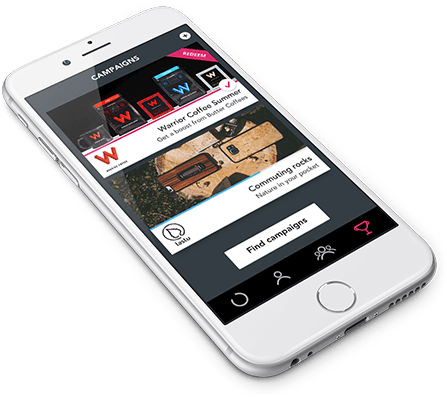 You can now take part in promotion challenges from selected brands and partners and redeem your activity points for rewards, either online or offline. We are adding more and more partners, so stay tuned and check new offers diretcly in your Fjuul app! Available in selected countries. For partnership inquiries, please get in touch.